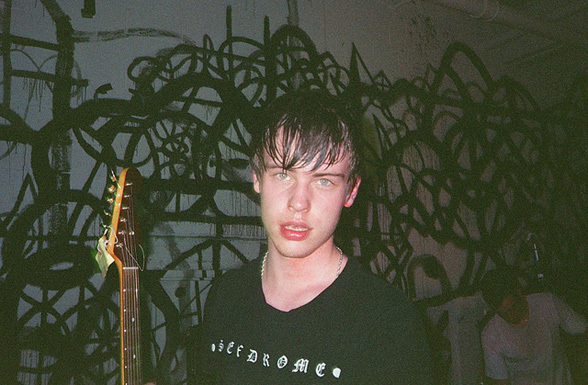 Iceage are a thing, whatever that means in 2011 (a half-dozen more blog mentions than not being a thing?). And a good thing: the Danish quartet’s debut is the sort of genuinely edgy rock effort that comes out every couple years and gets brief attention at best — Tiger Bear Wolf’s debut, Gentleman Jesse and His Men’s first single, etc. — so it’s nice, my initial Twitter snark aside, to see it getting recognition. On “Broken Bone,” the band crashes out of the gates with fearlessly trebled guitars and drums that start at 60 miles per hour and promptly head for the autobahn. The track’s dotted with surprisingly thoughtful production touches: the drums at the 2:13 mark before the final chorus pierce the distorto-fog like a light house, while the bridge’s tinnitus guitar tones would make the Exploding Hearts (or Liars!) proud. It helps that the chorus is more melody than ear assault, and the band’s heavily accented vocals provide an element of unintentional humor to lighten the stern-faced punk. We’ll see if anyone cares next week, but for the faithful, this will remain a jam for the ages. The band plays Amoeba on Thursday, July 21, and at the Echo on Sunday, July 24. See more concerts on the L.A. show calendar.